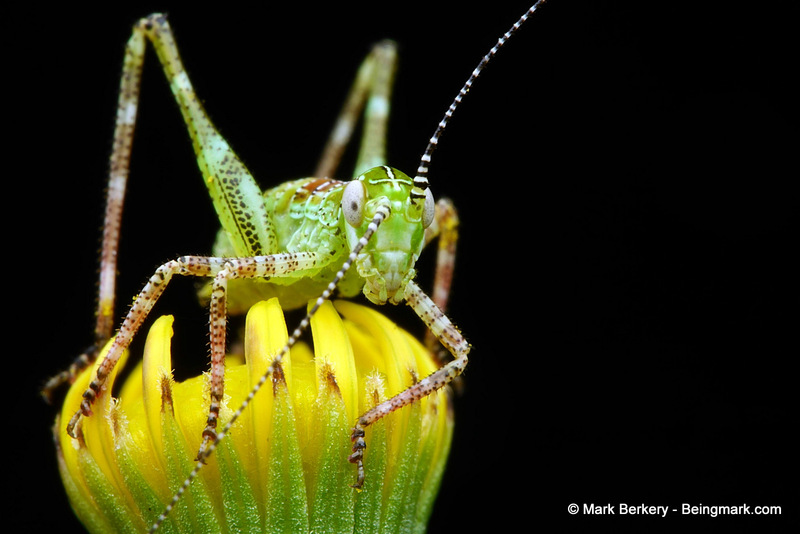 This young spotted katydid is about 15mm long, tail to nose. It is probably a member of a brood currently foraging and surviving in the garden. They have to be careful of the many spiders taking advantage of the boon of winter wildlife, with their webs cast about. 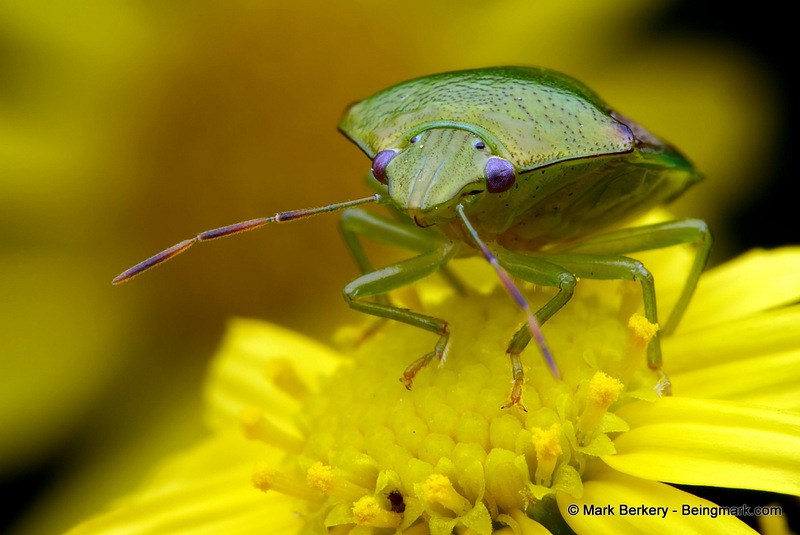 The shieldbug is doing much the same though differently. Each kind of creature has it’s own ways of doing things. Nearly all of them come to the flowers at some point in their lives. It’s been consistently warmer recently and life as the small creatures is presenting around the garden. It behoves me to get a few pictures as they do, because they are just passing, as am I. They are only images of signs of life that occur in sense and resolve to sensation. Out of sensation form arises, or re-arises, and falls or dies again. Life cycles here, endlessly. And behind that is what doesn’t cycle, doesn’t change and always is … What does sensation arise from … nobody knows, the unknowable formless space. 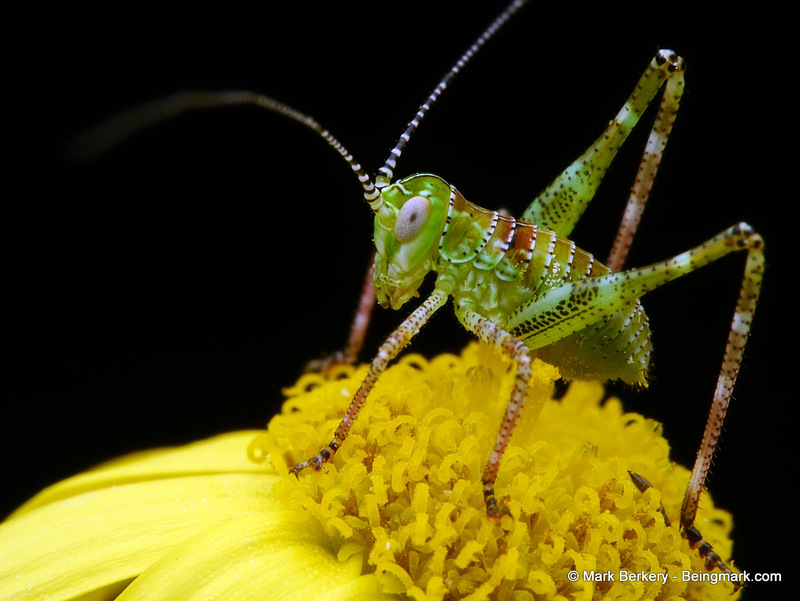 Katydids are so beautiful up close. Wonderful images as always, Mark. 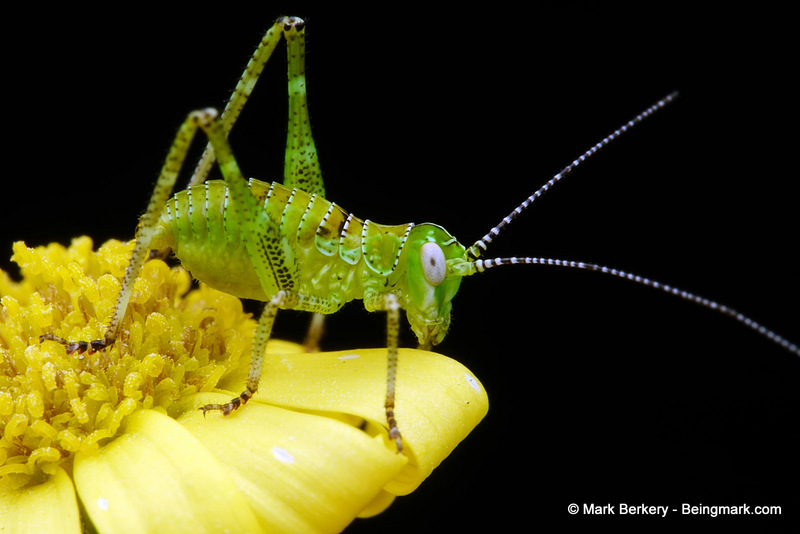 Oh, I love the katydid! Great picture! I always admire your control of your lighting, the taming of your flash. Great photos! Many people put a lot of work into getting the light right before me. We stand on the shoulders of … in all things. It all falls into place, eventually. If you look to see, rather than looking to get, it is all the clearer in the end. Hi Mark! 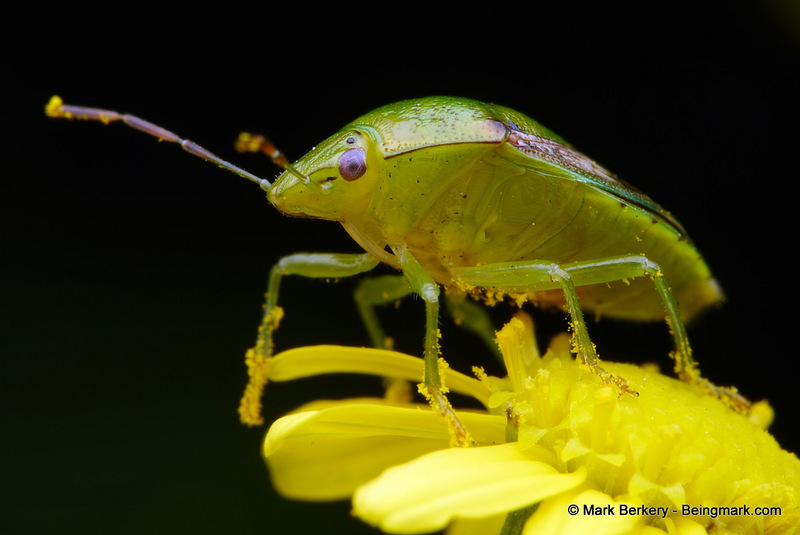 I’m going to do a post soon about colour matching and it would be great if I could include your top photo of the katydid on the yellow and green flower. I’d clearly link back to this post and to your blog home. Is that ok? Hi ? Yes you can, no problem. I like how you notice the details of these little creatures’ lives, & your respect for them. Thanks Helen. It just makes sense to respect what is intrinsic and we depend so much on, our nature. 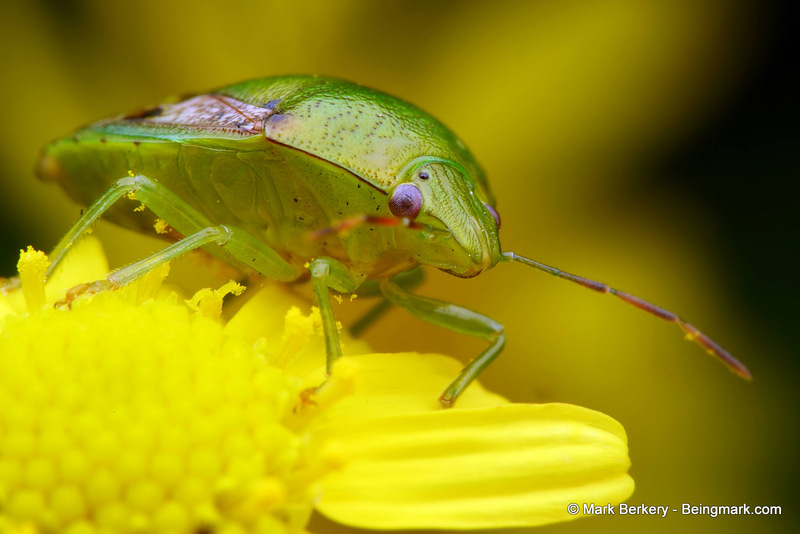 The ‘Aliens’ amongst us ;-) bugs are beautiful, and you know how to capture them splendidly ! Thanks for these Mark. Thanks David. Perhaps it is we are the aliens amongst them. Great post? What lense are you using for tge macro shots. They are superb. Thanks Michael. Mostly using the Oly 60/f2.8 with achromat on. See – https://beingmark.com/macro-illustrated/ – for my rundown on the process.